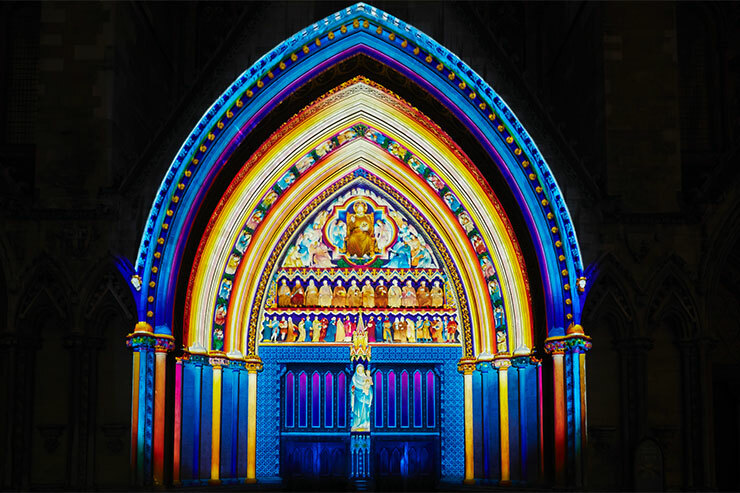 After its inaugural success in 2016, the Mayor of London commissioned a second edition of the Lumiere London light festival. 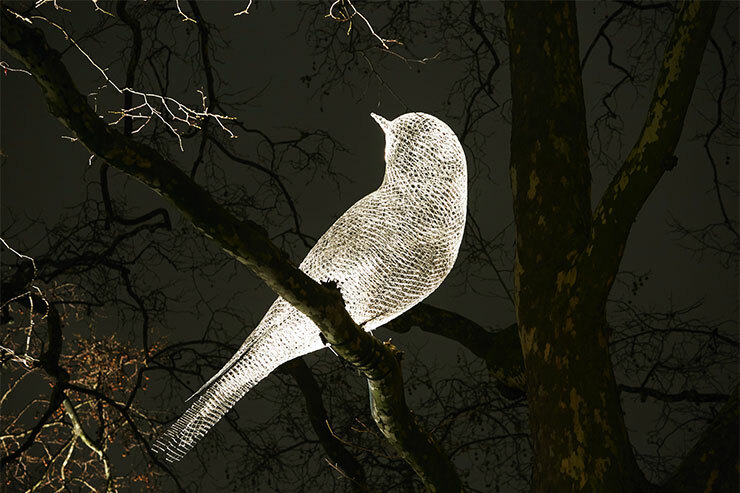 Held over four nights, 18th-21st January 2018, Lumiere London transformed six central London destinations into a vivid nocturnal art gallery. The festival attracted more than 1.5 million visits to 54 site-specific installations by international and UK artists from 14 different countries, many of which were completely new commissions. Artichoke, the arts charity that produces and curates Lumiere, set out to create extraordinary moments that disrupt the everyday and reach the widest possible audience. 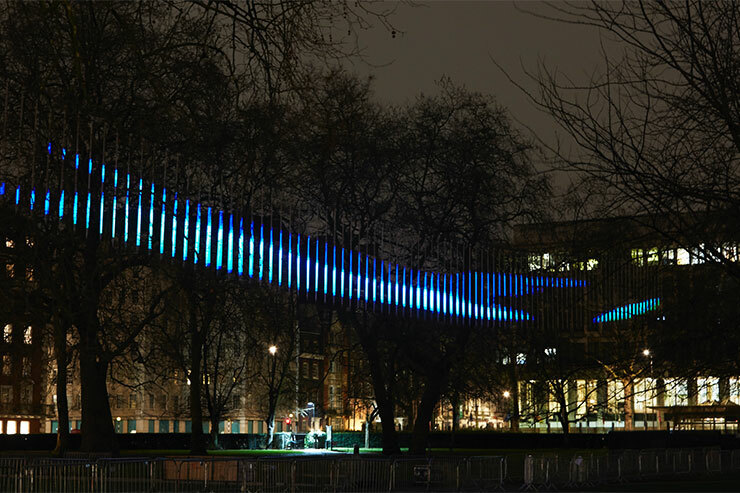 The company takes a considered site-specific approach to Lumiere, inviting artists working with light in all its forms, to engage with the city’s landmarks and hidden spaces, working to extremely high technical specifications to produce as seamless an audience experience as possible. The artworks were a mixture of large-scale projections and installations, interactive pieces, and quieter, more contemplative work. 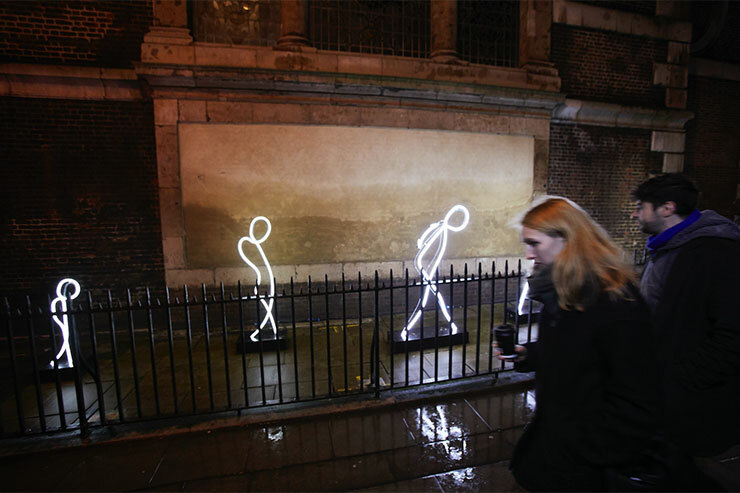 For Partners and Stakeholders, Lumiere London presented an exciting platform on which to showcase this world city and individual destinations to visitors on one of the darkest, coldest weekends of the year. Origin of the World Bubble, Miguel Chevalier, software by Cyrille Henry. This new commission inspired by the world of microbiology and the constant movement and division of cells is described by the artist as a generative virtual reality installation. 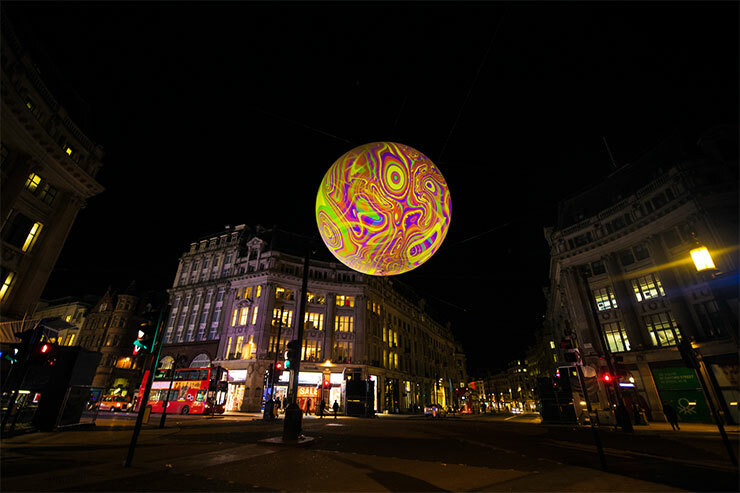 Organic and pixelated images were projected onto an inflated globe eleven metres in diameter, suspended across a pedestrianised Oxford Circus. Tech included four video projections, 20,000 Lumens laser and one computer. Granary Square at King’s Cross was transformed into an ethereal underwater world. 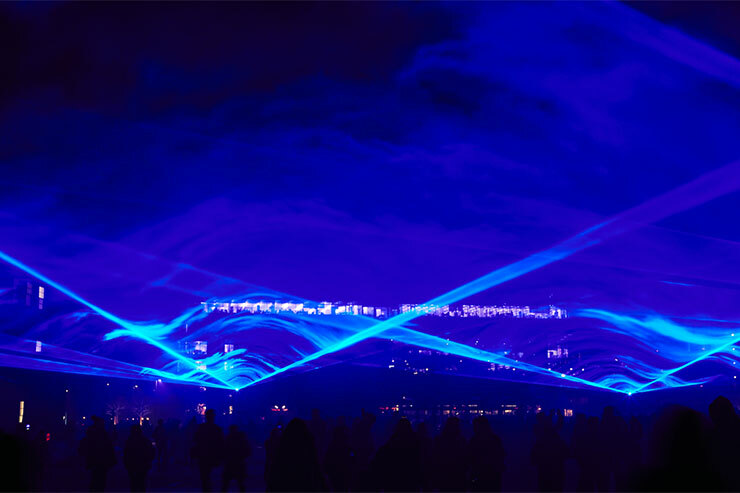 Blue light was projected onto a vaporised water screen under which the public moved. Inspired by our changing relationship to water and the risks faced from global warming and rising sea levels, viewers were immersed in a virtual flood. 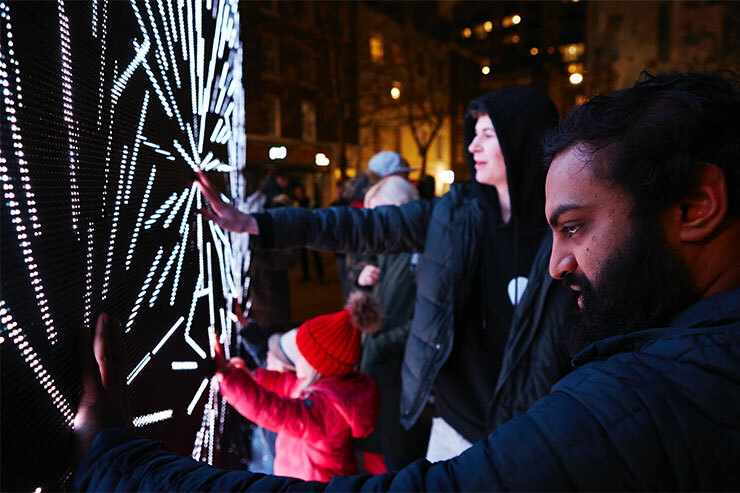 Located in Whitfield Gardens in Fitzrovia, the sound and graphics of this interactive LED sculpture could be manipulated by visitors’ bodies to create a series of shapes. It used five different states of sound and visual form, each exploring different geometry and pattern. 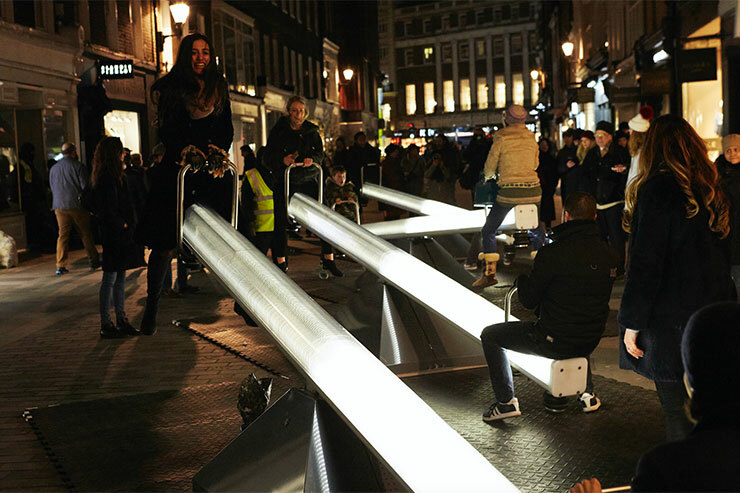 In Mayfair’s South Molton Street, was a light and sound experience activated by the public. A bank of eight illuminated sonic seesaws made up an octave and drew participants back to childhood and the idea of playing together in the street, creating a musical composition through collective action. 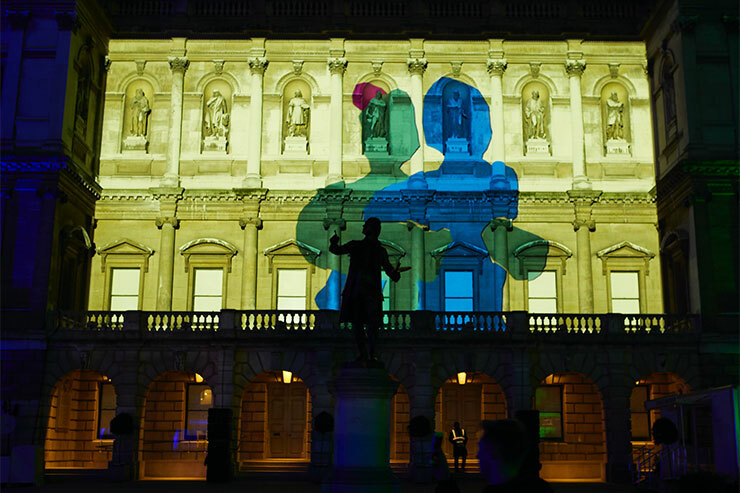 This Matisse-inspired animation was projected across the façade of the Royal Academy building, accompanied by a specially created soundtrack. 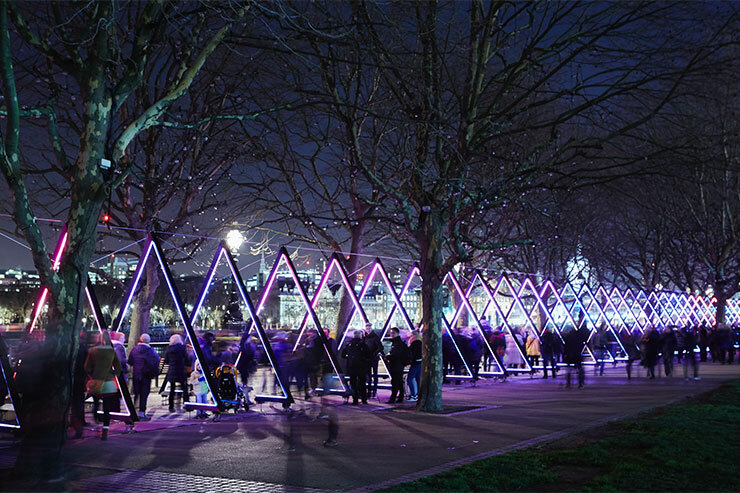 Installed on London’s South Bank, this work consisted of 40 triangular interactive luminous gates that responded sonically and visually, allowing audiences to co-create the artistic experience. The wave acted as a beacon of light in the ongoing darkness of winter.